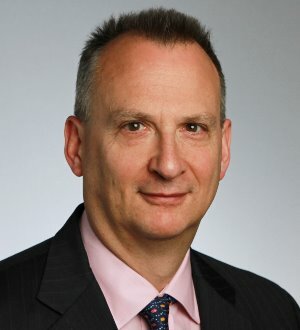 Philip Anker is a partner in both the Litigation/Controversy and Transactional Departments of WilmerHale, and vice chair of the firm's Bankruptcy and Financial Restructuring Practice Group. Mr. Anker is also a member of the firm's Business Trial Group. Mr. Anker's practice is wide-ranging. He has represented the full panoply of clients in business bankruptcy cases: debtors, Chapter 11 trustees, trustees of post-confirmation trusts, creditors' committees, secured creditors, debtor-in-possession lenders, unsecured creditors, equity holders, investors and purchasers of companies and assets in bankruptcy. Mr. Anker also has substantial experience in out-of-court workouts. In addition, Mr. Anker has played a leading role in some of the largest, most prominent bankruptcy-related litigation matters in recent years, including actions arising out of the Adelphia, Enron, Global Crossing, Lyondell, Tribune and Refco Chapter 11 cases, as well as several consumer bankruptcy class actions. Among other prominent cases, Mr. Anker recently completed a trial of a multi-billion-dollar fraudulent transfer action. In addition, Mr. Anker has argued and prevailed in five separate bankruptcy appeals in the US Court of Appeals: Adelphia Recovery Trust v. Bank of America, No. 09-0039-CV, 379 F. App'x 10 (2d Cir. 2010), aff'g, 390 B.R. 80 (S.D.N.Y. 2008); Eastman Kodak Co. v. Wachovia Bank, N.A., 456 F.3d 1277 (11th Cir. 2006); MBNA America Bank, N.A. v. Hill, 436 F.3d 104 (2d Cir. 2006); Arruda v. Sears, Roebuck & Co., 310 F.3d 13 (1st Cir. 2002); and AT&T Universal Card Servs. v. Mercer, 246 F.3d 391 (5th Cir. en banc 2001). Mr. Anker also successfully argued for the investment bank defendants in the New York Court of Appeals in Kirschner v. KPMG, et al., 15 N.Y. 3d 446, 938 N.E. 2d 941, 912 N.Y.S. 2d 508 (N.Y. Ct. App. 2010), which resulted in that court’s seminal decision reinforcing the in pari delicto defense and the dismissal of $2 billion in claims against the banks.